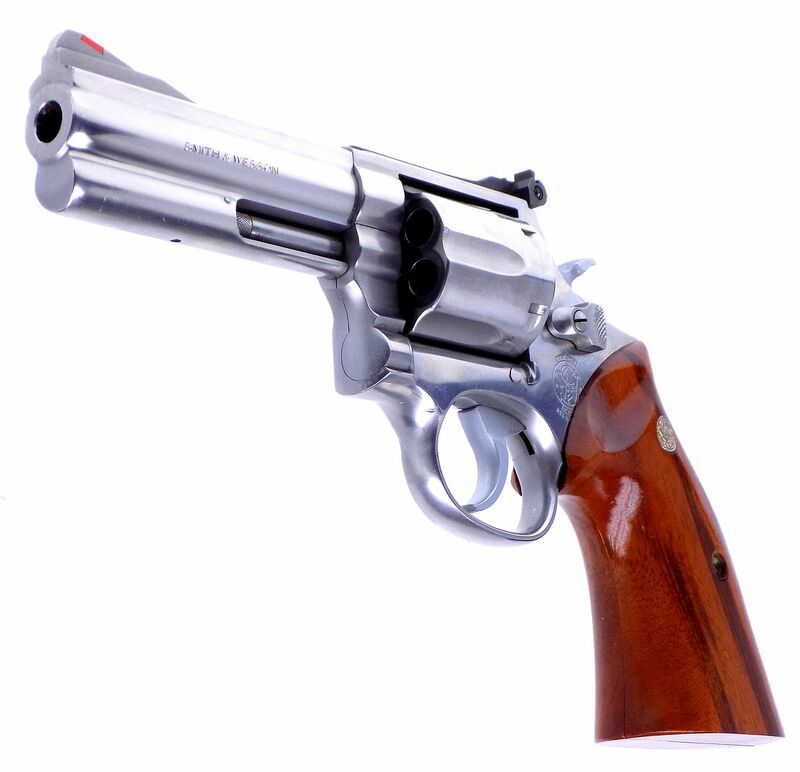 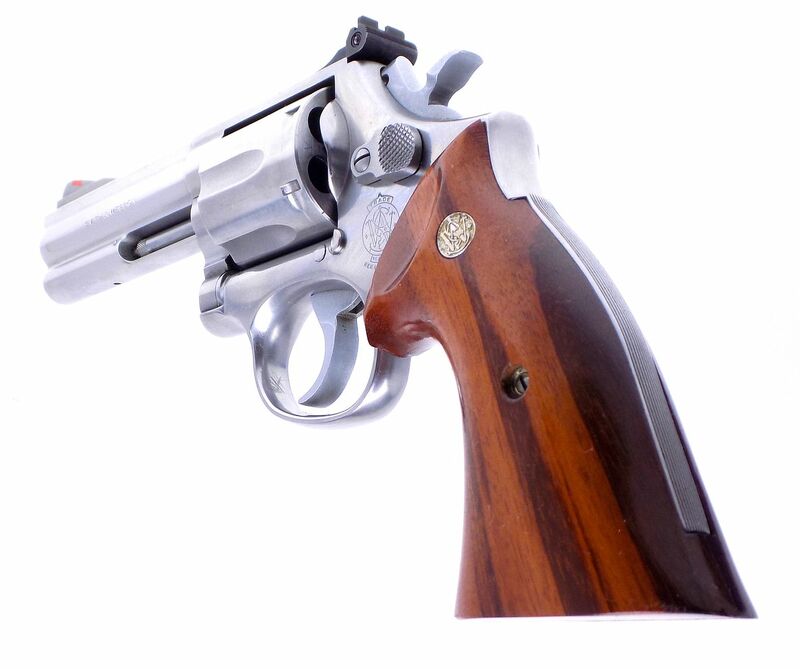 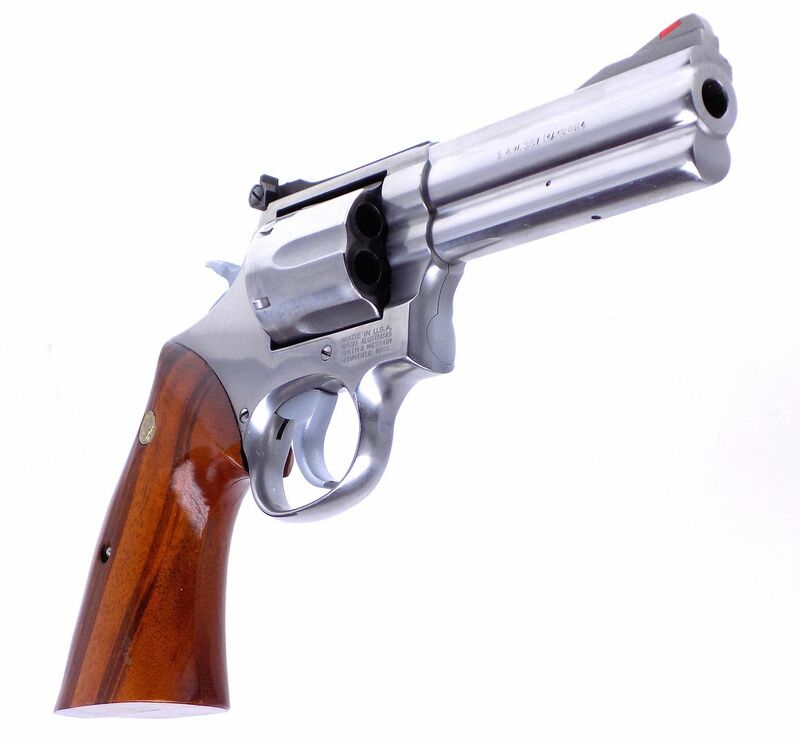 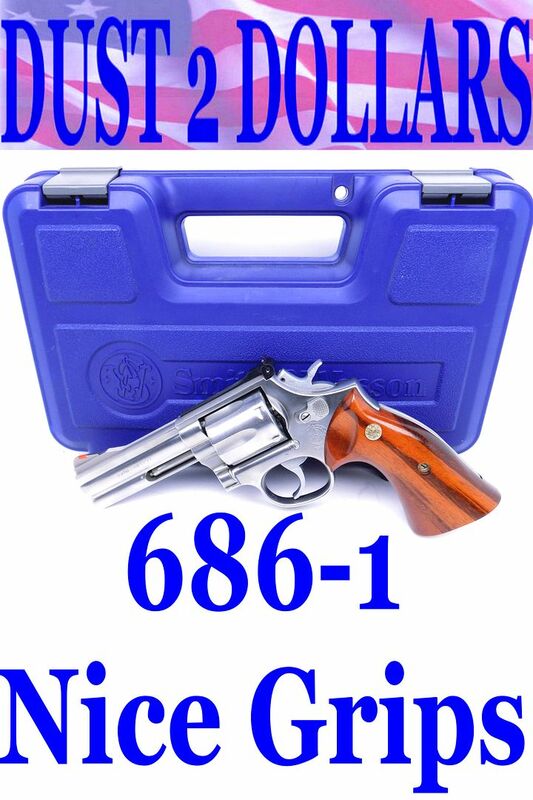 This auction is for a Smith & Wesson 686-1 4" 357 Remington Magnum revolver. 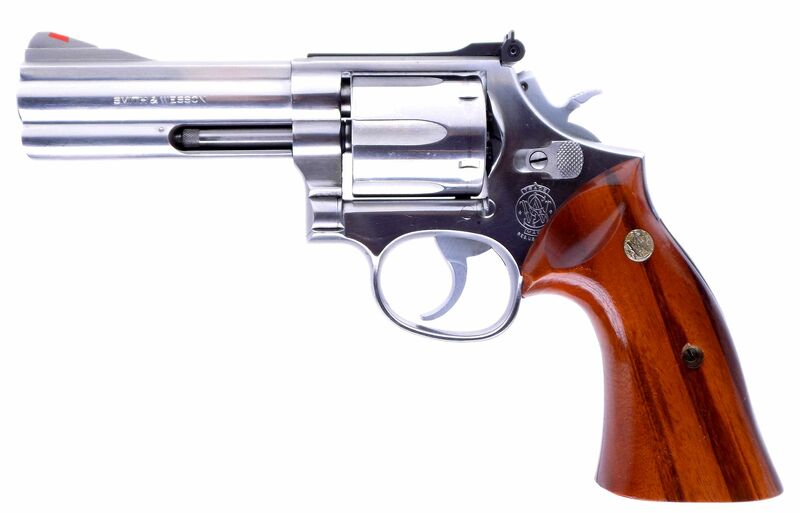 The serial number is AWF3894 which makes the year of manufacture in 1987 I believe. 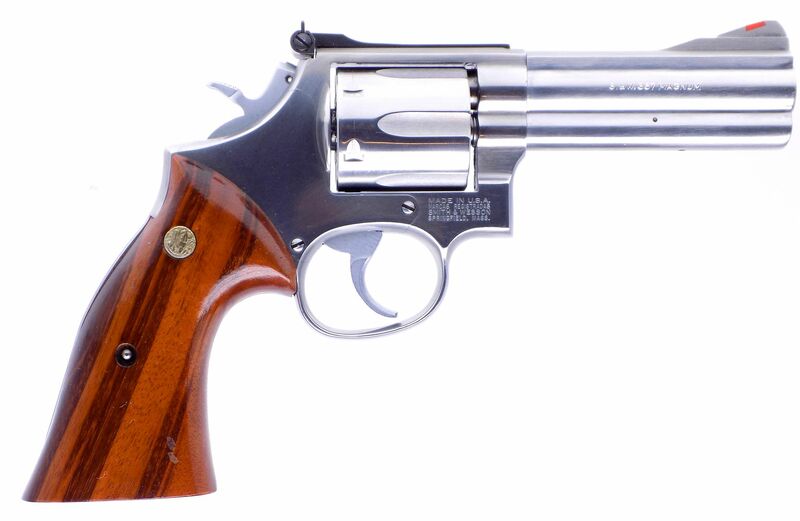 The bore is in excellent condition with no issues and the lockup is tight. 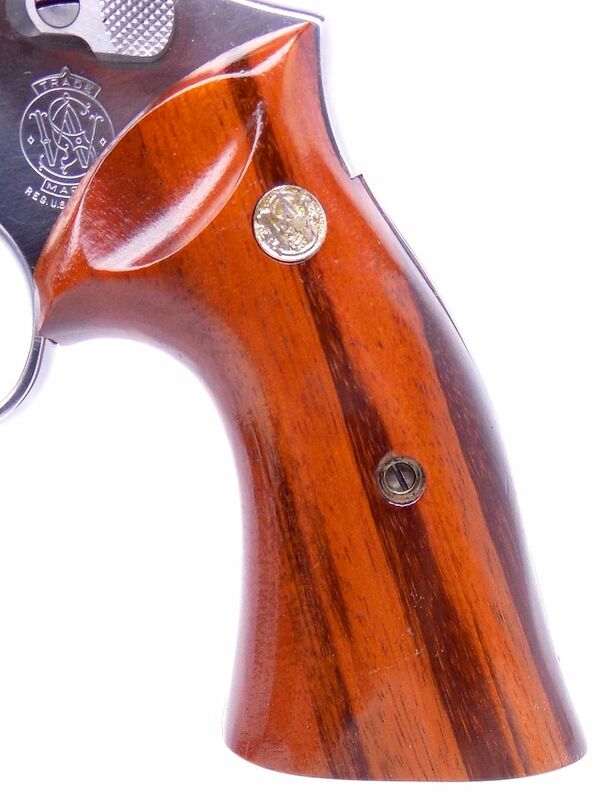 The gun wears a beautiful well matched set of presentation grips. 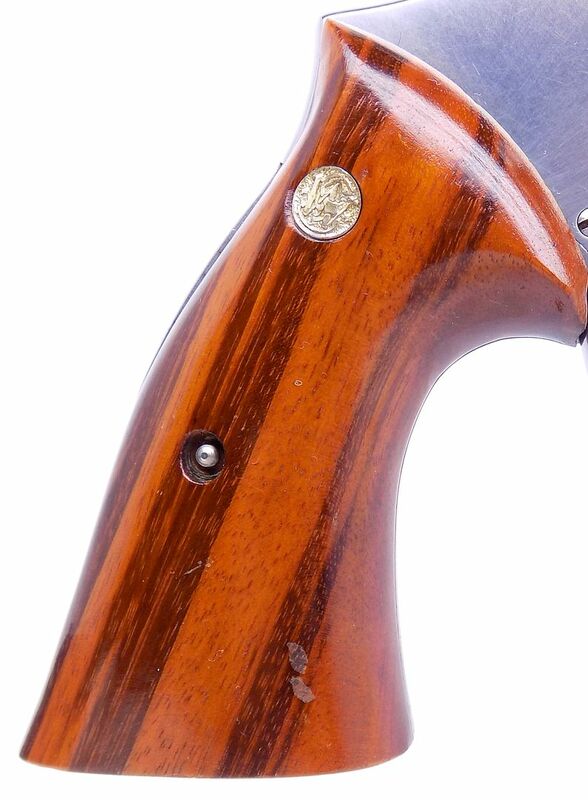 The finish is in very fine condition with some minor surface marks and a small ding in the trigger guard. 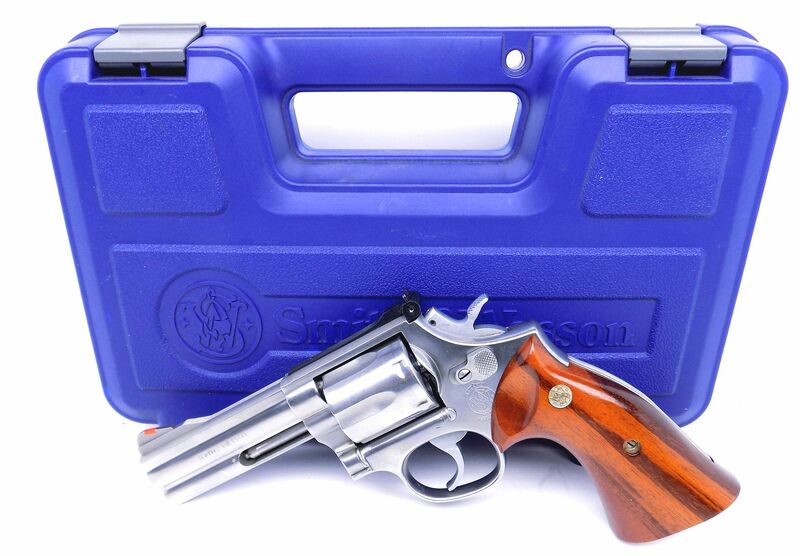 The gun will ship in a factory S&W box but there is no paperwork and label attributing it to the gun.